The A4B consortium members offer PhD programmes for one to two early-stage researches (ESRs) each. The ESRs will be integrated into the local PhD programmes of the host organisation. The UKE is one of the leading German research university clinics with a long academic tradition and excellent reputation in research. The UKE is focused on neuroscience, inflammation, infection and Immunity, oncology, health services and cardiovascular research. Collaboration with numerous partners, such as CFEL, CSSB, EMBL, MPI, Helmholtz at DESY allows the focus on Protein biochemistry. Approximately 15 years ago, mass spectrometric analysis of proteins was stablished at the UKE. By appointment of a professorship for mass spectrometric proteomics in 2008, the topic gained more attention at this institution. 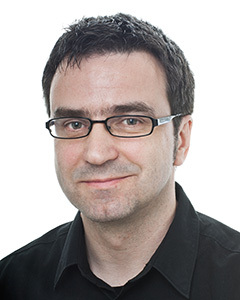 The A4B Project coordinator Prof. Dr. Schlüter leads the mass spectrometric proteomics group at UKE and is project leader in the ERC advanced grant project SURPIRL. He has extensive expertise in bioanalytical chemistry, chromatography and mass spectrometry of proteins. In A4B he focuses his research on the separation and analysis of therapeutic protein-species (TP-S). Mainly involved in the work packages 1 and 2, he will be supervising ESR1 and ESR2 with the aim to improve liquid chromatography for analysis and purification of TP-S via rational protein purification and develop fast LC-MS based approaches for a relative label free, unambiguous quantification of intact TP-S. The group provides a fully equipped protein purification laboratory, including several liquid chromatography systems as well as gel-free isoelectric focusing, UV and fluorescence photometers. A mass spectrometry laboratory equipped with state-of-the-art mass spectrometers. The UKE provides more than 15 core facilities. NMR and X-ray crystallography are available through collaborations with the University of Hamburg and institutes of DESY. Eberhard Karls University Tübingen, founded in 1477, is one of the leading German research universities and one of eleven German universities distinguished as excellent under the German government’s initiative. The Center for Bioinformatics Tübingen (ZBIT) was founded in 2000 as one of the five nationwide centers of excellence in bioinformatics funded by DFG. EKUT established the first bioinformatics curriculum in Germany in 1998 and has one of the largest PhD programs in bioinformatics/computational biology in Germany (currently about 70 PhD students enrolled). The Quantitative Biology Center (QBiC) is an integrative center funded by Germany’s excellence initiative and provides core infrastructure for high-throughput biology, both for data generation and data analysis. 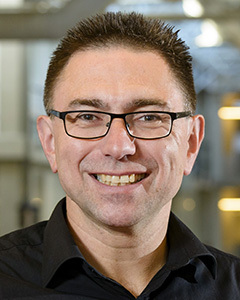 Prof. Dr. Kohlbacher is chair for Applied Bioinformatics, Director of the Quantitative Biology Center and a Fellow at the Max Planck Institute for Developmental Biology. 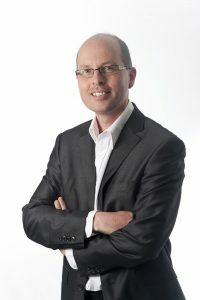 He has long-standing experience in computational mass spectrometry and is the chair and co-founder of the ISCB CoSI Computational Mass Spectrometry and of the HUPO subgroup Computational Mass Spectrometry. He teaches in several graduate and undergraduate curricula (bio-informatics, computer science, biochemistry) and has supervised over 40 postdoctoral fellows and PhD students. The group owns two large computer clusters (100+ cores) and has access to high-performance computing facilities (BinAC) with over ten thousand cores. The group is one of the main contributors to the open-source project OpenMS, one of the leading software projects in computational mass spectrometry. KTH is one of the leading Swedish research universities with a long academic tradition and excellent reputation in research. The protein technology department performs research on a broad scale, including outputs as large and small molecules. These research outputs lead to various impacts in the society. The department is responsible for the Human Protein Atlas (proteinatlas.org) a publicly available portal that describes the protein distribution in the human body as well as the presence or absence of the protein in various human cancers. Moreover, different engineered proteins are selected, designed and developed. These are used for protein purification and as different diagnostic tools including clinical imaging to detect cancer. Prof. Dr. Hober leads the Protein Engineering and Expression group and is an expert in affinity-based proteomics and analytical methods. Her key scientific achievements include design and development of gene fusion systems for selective ion-exchange purification and improvements of the alkaline tolerance of protein A and protein G for industrial purification of IgG/HSA (Currently a product sold by GE-Health care). Currently, she focusses on the development of predictable and robust systems for protein purification and detection by protein design and various selection methodologies. Moreover, she is co-founder of several biotechnological companies. Within the A4B project, Prof. Hober will supervise ESR4 and coordinate the development and use of monoclonal affinity proteins (WP2). The ESR will develop new ADAPT-based affinity molecules to be used for identification & capture of TPs, a large-scale affinity purification system based on these affinity molecules and an analytical and a sandwich-based method for quantification of the target proteins. The ESR will acquire expertise in protein selection systems, protein purification and affinity based analytical methods. The group provides a fully equipped protein purification laboratory including equipment needed for DNA-preparation. (DNA-sequencing equipment, 3 ÄKTA explorers and 8 ÄKTA expresses for protein purification, HPLC, protein array production & read-out equipment for affinity analyses, MALDI and ESI-MSMS for protein identity analysis, FACS for protein selection and analysis (using a cell display system), BiaCore and Proteon for affinity measurements, CD for protein structure and stability measurements. The Leiden University Medical employs approximately 7000 people. It serves the dual function of a medical center, with departments of all medical specialties, and a research center accommodating fundamental and clinical studies. The work within A4B will be performed at the Center for Proteomics and Metabolomics (CPM) which combines proteomics, glycomics, metabolomics, and lipidomics technology lines to unravel temporal and spatial physiological and cell biological processes underlying pathogenesis and disease progression. Prof. Wuhrer is chair for Proteomics and Glycomics, head of the CPM and leader of the Glycomics and Glycoproteomics group within CPM. He is an expert in glycosylation analysis by mass spectrometry with a strong track record in method development. The CPM will host ESR5 and ESR6 of A4B. ESR5 will develop new methods for mass spectrometric glycosylation analysis of TP-S. This will include developing MSMS approaches for the characterization of N- and O-glycosylation, establishing glycopeptide derivatization methods for stabilizing and neutralizing all sialic acid residues and parallel O- and N-glycopeptide profiling by MALDI-TOF-MS after sialic acid stabilization and SPE-glycopeptide purification. ESR6 will work on the separation and mass spectrometric characterization of intact TP-S including conformers and complexes. Therefore, he/she will establish various separation methods to resolve TP-S, including gradient chromate-focusing (GCF), Fc-gamma receptor affinity chromatography and boronate affinity chromatography. The ESR will link structural information obtained by native-state LC-MS with information obtained from bioactivity assays, thereby establishing structure-function relationships. The CPM has a strong expertise in biomolecular mass spectrometry and data analysis and houses an internationally competitive MS facility. Several matrix assisted laser desorp-tion/ionization (MALDI)-Time-of-Flight (ToF) MS instruments, as well as electrospray ionization (ESI) coupled with Orbitrap, ToF-, -triple-quadrupole, ion trap-, and Fourier transform in cyclotron resonance (FT-ICR) mass analyzers are available. The ESI instruments are generally on-line coupled to nano-liquid chromatography and capillary electrophoresis systems for sensitive MS analysis. SDU is a multi-campus university with 5 faculties. The SDU Department of Biochemistry and Molecular Biology (SDU-BMB) provides a modern and dynamic environment for teaching, training and research in molecular cell biology and biomedicine, including biophysics, bio-imaging, protein structure/function and functional proteomics, cell signalling, functional genomics and microbiology. 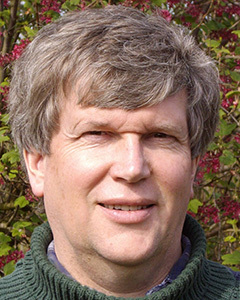 Prof. Ole Jensen is a group leader in the Protein Research Group at SDU-BMB. He has developed a range of integrated bioanalytical approaches for high-sensitivity characterization of post-translationally modified proteins by mass spectrometry. 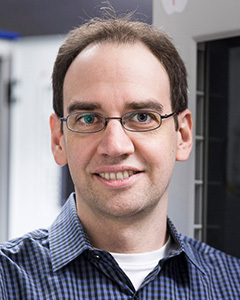 In recent years his research group has developed middle-down mass spectrometry techniques and computational methods to study co-occurring post-translational protein modifications in cells, model organisms and mammalian tissues. The Jensen group consists of one associate professor, one assistant professor, 4 postdocs and 3 PhD students. In WP1, analytics of TPs, Prof. Ole Jensen and Associate prof. Adelina Rogowska-Wresinska will supervise ESR7 in the comprehensive characterization of therapeutic proteins by top-down mass spectrometry (TDMS) and its expansion to large proteins. Therefore, chromatographic separation methods including HILIC, RP, and monolithic resins, will be tested for their ability to separate intact TP-S prior to on-line detection and sequencing by tandem mass spectrometry. Accurate molecular weight determination by high mass resolution MS analysis and generation of tandem mass spectra of TP-S by hybrid MSMS utilizing ETD, HCD, EThcD and UVPD fragmentation will be used for reliable quality assessment of TPs. The ESR will also develop computational data analysis tools for the integration of chromatographic data, MS and MSMS spectral information to establish a robust system for the analysis of post-translationally modified TPs. The Jensen lab is equipped with state-of-the-art tandem mass spectrometry instrumentation, including high mass accuracy LTQ-Orbitraps (CID, ETD, HCD and UVPD) for LC-MSMS analysis of proteins and peptides, i.e. two LUMOS instruments and three QE-HF systems. The Protein Research Group also embarks on hydrogen exchange protein mass spectrometry (HX-MS) for protein conformation, interaction and stability studies. A series of computational data analysis platforms are routinely used for data analysis & interpretation in protein chemistry and proteomics, i.e. Proteome Discoverer, ProsightPTM, Mascot and MaxQuant/Perseus. Ludger is an SME specializing in analytical technology for biopharma glycosylation characterization and glycomics. The company provides glycoanalytical services, kits and reagents to biopharma companies worldwide. 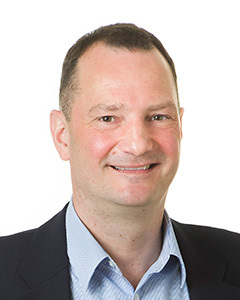 Dr. Daniel Spencer is Head of Development at Ludger, leading the translation of basic research into commercial grade glycoprofiling technology. In addition, he is a quality management systems auditor, providing quality systems consultancy/audits at Ludger and its partners with respect to ISO9001 and GMP type lab work. His team focuses on assessing the robustness and reliability of high-throughput glycan analytical techniques in HPLC, MS and microtiter plate based formats. Daniel is the PI of the project and will supervise on UHPLC, VTag and mass spectrometry techniques, publications, and quality management systems. Involved in WP1, analytics of glycans, Dr. Spencer will supervise ESR8 and his/her work in the development of automatable and high throughput techniques to determine site specificity and quantification of N and O glycan profiles of EPO and TNF-AB. The project will build upon a recently developed product, VTAG, used to analyze and relatively quantify glycan types on the Fc receptor of monoclonal antibodies without releasing the glycan. The ESR will profile glycans using UHPLC based hydrophilic interaction chromatography, optimize glycopeptide fluorophore label for MS and CGE-LIF analysis by chemical modification, prepare quantitative glycopeptide standards and finally automate the assay and validate it according to ICHQ2(R1). Ludger has R&D and production laboratories at the Culham Science Centre in the UK. The facilities include chemical kit/glycan production labs and analytical and development labs fitted with fume cupboards and standard labware. Equiment includes centrifugal evaporation units, Thermo U3000 and Waters Acquity UHPLC systems for glycan profiling, a Bruker Autoflex MALDI-MS, a Bruker nano-UHPLC-Amazon ESI-MS with ETD and a Hamilton Starlet liquid handling robot. The University of Groningen is a ‘Top 100’ research university according to all current international rankings. The Department of Analytical Biochemistry is embedded within the Graduate School of Science and Engineering and the Graduate School of Medical Science hosting close to 1000 PhD students. The Department is part of an interdisciplinary biomedical research school with close links to pharmaceutical and medical/clinical groups. 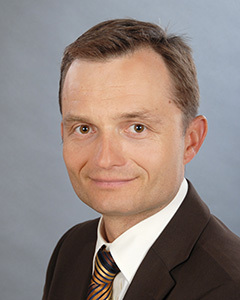 Prof. Dr. Bischoff has 14 years of industrial research experience and 16 years of academic research experience. He will be the first promoter of the ESR9 and ESR10 and responsible for the quality of research and training. Dr. Permentier (head of the Interfaculty Mass Spectrometry Center) and Mr. Jos Hermans (senior mass spectrometry technician) will be involved in the daily supervision of the ESRs. Prof. Bischoff will supervise the PhD students together with Prof. van de Merbel and host the Training School Basics in Bioanalysis and the Advanced Workshop Targeted, quantitative LC-MSMS. The Department is housed at the newly established European Research Institute on the Biology of Ageing (ERIBA) comprising state-of-the art facilities with currently 16 LC-MS/MS systems, a biochemistry research laboratory and a modern bioinformatics infrastructure. The Department has access to various facilities at the adjacent University Medical Center such as clinical laboratories, an animal facility, cell culture facilities and FACS facilities. The Department of Biosciences (IBV) belongs to the Faculty of Mathematics and Natural Sciences at the University of Oslo (UiO). It has 130 employees, and about 175 PhD students and postdocs/researchers. The Department has one Centre of Excellence (Centre for Ecological and Evolutionary Synthesis) that focuses on understanding the fundamental biological processes from molecular and cellular to population and ecosystem level. It has four research sections (Aquatic Biology and Toxicology, Biochemistry and Molecular Biology, Physiology and Cell Biology, Genetics and Evolutionary Biology). The proteomics group is part of the Biochemistry and Molecular Biology (BMB) section. PD Dr. Thiede leads the proteomics group. The proteomics group provides service and performs independent research on method development to study cancer. With his specific expertise in mass spectrometry-based proteomics, he teaches students at Master and PhD level. Currently, the group consists of 2 post-docs, 2 PhD students and 3 engineers. Dr. Thiede will supervise ESR11, who will focus on absolute quantification of TP-S in human plasma/serum. Therefore, the main aim is to develop a cost effective, universal and accurate approach for stable isotope peptide and protein labelling for quantification of TP-S in various biologic matrices. The Thiede group has a fully equipped proteomics laboratory including MALDI-TOF/TOF, UHPLC-ESI-LTQ-Orbitrap, UHPLC-ESI-LTQ-Orbitrap-ETD, and UHPLC-ESI-Q-Orbitrap mass spectrometers. The University of Natural Resources and Life Sciences, Vienna (BOKU) has been founded 140 years ago and has currently 1500 researchers in faculty positions and 12000 students. The University has three campuses and is organized in 14 different departments including the Department of Biotechnology. The mission of the university is to foster research and education for sustainable use of renewable resources in accordance with an industrial society. The research and education is organized in a way to integrate life science, engineering, and economics. In order to fulfil this mission, BOKU has developed strong activities in the field of biotechnology, which are mainly concentrated at the Vienna Institute of Biotechnology campus. 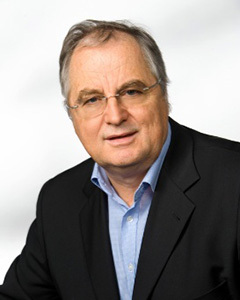 Prof. Dr. Alois Jungbauer is a professor at the Department of Biotechnology at BOKU. He is head of the laboratory for Protein Technology and Downstream Processing . He also acts as area head and Dep. 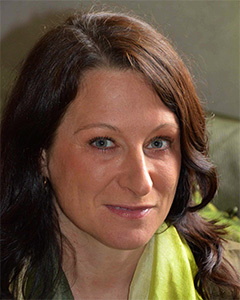 Director of Research in the Austrian Centre of Industrial Biotechnology. He is currently working in bioengineering of proteins, plasmids and viruses and has developed several continuous process for purification of proteins. Fundamentals of engineering in biological product recovery are the core activities of the working group Prof. Dr. Jungbauer. The group is focusing on isolation, purification and characterization of proteins, plasmids, viruses, and cells. Currently mass transfer and thermodynamic phenomenons in bulk crystallisation, chromatography and chromatographic reactors are investigated. This is the basis for rational process design and scale up. Research is also performed in the areas of stationary phase development and generation of novel affinity ligands for affinity-adsorption. Either biological or chemical peptide libraries are employed. In the past five years downstream processing of steroid hormone receptors, antibodies and autocatalytic fusion proteins has been investigated. Two of the A4B PhD positions, ESR12 and ESR13, will be based at the Department of Biotechnology, within the University of Natural Resources and Life Science in Vienna, Austria, supervised by Univ.-Prof. Dr. Alois Jungbauer. Alphalyse is a company specialized in protein identification, quantification and purity analysis by mass spectrometry and bioinformatics. The company has offices in the USA and in Denmark. With highly trained staff, top-of-the line equipment and close cooperation with the academic world it allows state-of-the-art innovation and development, tailored to the customer’s needs. Dr. Ejvind Mørtz has experience in training of employees, has been supervising PhD students and takes part in final examinations of students at University of Southern Denmark on a regular basis. Working on WP1, he will supervise ESR14 in the development of Multiple Reaction Monitoring (MRM) and Data Independent Acquisition (DIA) methods for quantification of TP-S. Combining experimental data and bioinformatics tools, an assay for TP-S quantification, complying with ICH Q6B guidelines will be established. Alphalyse will have a particular role in teaching of entrepreneurship for all ESRs. During network meetings lectures will be given in how to develop an innovation culture in a high-tech company among highly educated people and to discover new trends in the market to generate sustainable business models. Alphalyse laboratory includes high-end mass spectrometry instrument (Q-TOF, Sciex Triple TOF and MALDI-MS/MS) and additional instrumentation for detailed protein quantification and characterization (Biochrom +30 Amino Acid Analysis, Procise 494 N-terminal Edman sequencer etc. ), and we constantly upgrade instrumentations and software to stay at the forefront of protein analysis. Hexal AG is Germany’s second and the world’s fourth largest producer of generic drugs. Hexal produces some 1,000 pharmaceutical products based on more than 250 active ingredients and specializes in developing new delivery methods and dosages for its generics, including tablets, capsules, transdermal patches, ampoules, and aerosols. 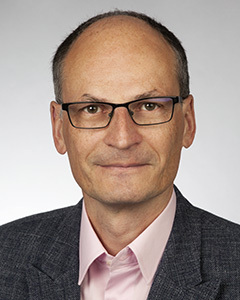 Dr. Andreas Seidl has more than 20 years of experience in the area of structural and functional characterization of proteins in academia and the biotech industry. He supervised many bachelor, master and PhD thesis in collaboration with the Technical University of Munich, the Ludwig-Maximilians-University Munich and the University of Applied Sciences Weihenstephan. 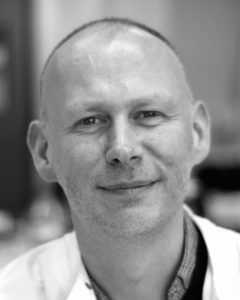 Together with his team, Dr. Seidl will supervise ESR15 in the development of an in vitro blood model for the analysis of TPs under physiologically relevant conditions to predict metabolic products/modifications of TPs that occur in vivo. The ESR will learn methods to stabilize reactive compounds under physiologically relevant conditions and stepwise increase of compounds to achieve blood like complexity. The developed in vitro system will be used to incubate A4B proteins and confirm or predict in vivo protein metabolites. Hexal has collaborations with the local universities and is imbedded in a large research and development network of Sandoz/Novartis. Within this network there are also relevant research collaborations such as the Christian Doppler laboratory on innovative protein characterization technologies together with the University of Salzburg and Thermo Fisher. The A4B consortium is supported by six industrial partners, all of which are leading organisations in the analytical and pharamceutical industry and scientific consulting. The partner organisations will provide methods training for ESRs, secondments, workshops, and soft-skills training. Agilent Technologies will provide secondments, lectures and workshops to the early-stage researchers of the A4B project. Bruker Daltonik will provide method workshops and lectures to the early-stage researchers of the A4B project. PRA Health Sciences will provide secondments, lectures and workshops to the early-stage researchers of the A4B project. ProSciencia will provide soft-skills training to the early-stage researchers of the A4B project. Thermo-Fisher Scientific will provide method workshops and lectures to the early-stage researchers of the A4B project. Sandoz will provide lectures and secondments to the early-stage researchers of the A4B project.